Since her very first introduction to fantasy adventures through the award-winning trilogy My Father's Dragon, my daughter has been enamored with all-things-fantastical. She was only in kindergarten at the time. But even then, she knew that this imaginative genre could instantly transport a reader to another world and another time all from the safe comfort of the couch. A few years later, she dove headlong into one of THE GREATS...the benchmark fantasy series for which all others are measured. The Chronicles of Narnia. She read and re-read them over and over again, each time chipping off a small piece of Narnia and fixing it to her very self. Because books are like that. They shape you and mold you and challenge you to become a better version of yourself. After turning the final page of Narnia one last time, she wanted more. More fantasy. More imagination. More adventure. While I was ALL IN for all of those things, I knew that the fantasy genre often came with a mixed bag of witchcraft, darkness, and evil. I knew I couldn't just thrust her towards the 398 shelf in the library and walk away. 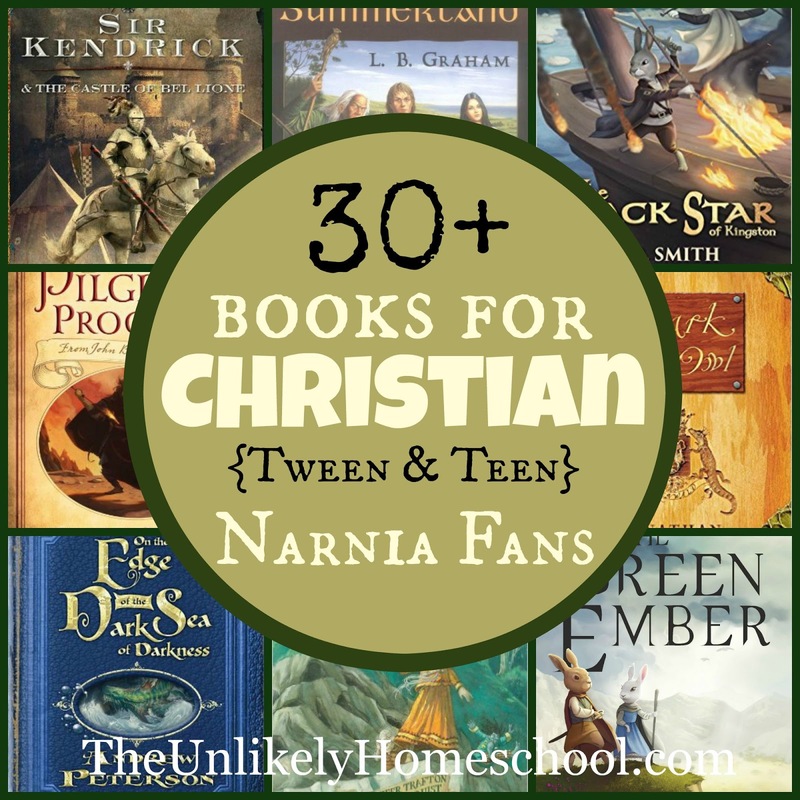 In my quest to help her hold on to the life-giving inspiration of Narnia, I went searching for some Christian-themed fantasy books. These are books she has read, books we have read together, or ones she has added to her ever-growing "someday" pile. These are allegorical fantasies based on the life of David. Some kids might find this series a bit too scary. Don't let the dark sounding titles fool you. These books are quirky, humorous fantasy adventures written by Christian Contemporary singer/song writer and father of three, Andrew Peterson. This is a fantasy series loosely based on the book of Isaiah and probably best saved for the teen years. Happy reading! Glad I could pass these along. I have a daughter who sounds just exactly like your own. Same age and reading levels and she is enamoured with this genre as well. N.D.Wilson has a few books out that are good...100 Cupboards is a good start to him but some of his later books can be a bit scary in spots for younger people. Still good, but maybe for later years? And my daughter loved all the books from the Terrestria Chronicles. I almost put the N.D. Wilson books on the list, but thought they might be a bit too graphic for some. The neverending story is one that I loved as a kid. Thanks for the list. Thanks so much for your list! My son is an avid reader. He loved the Hobbit series a lot and Chronicles of Narnia. He LOVED Nephilim the Remnants, its a Christian Fiction Fantasy also. I am sure your tween/teen would love that as well. Oooo...thanks for the suggestion. I'll have to look into those! 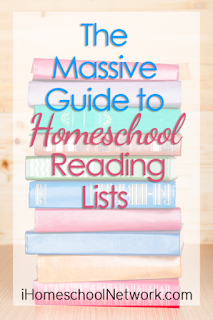 So grateful for this list--our now 1st grader will be so excited to have so many books in her repertoire now and as she gets older! Also, so glad to see Chuck Black's books in the list! We got to chat with him a little bit at our state's homeschool convention this last year and he will be the keynote at this years so I'm excited to hear more from his heart....and then begin delving into his books in the years to come with our kiddos. GREAT LIST! Keep 'em coming! He was at our convention too! You'll have lots of wonderful years of literary adventures ahead with your daughter! Thanks Jamie, I appreciate the list. My 10-yr old daughter also enjoys a bit of fantasy so this will be a useful resource. Yes, my kids like the imagination station series too. They are nice, quick reads. Thank you for the other suggestions. I'll have to look into all of those! One of my all time favourite fantasy series is the Chronicles of Prydain, by Lloyd Alexander. They are about a boy, Taran, who is an assistant pig keeper but wants to be a hero. He has many adventures, and learns the true nature of heroism. His friends and companions are funny and endearing, and they are great coming of age stories. There is some discussion of evil, and some battle scenes, so you might want to preread if you have sensitive kids, but good overcomes evil and the evil is never celebrated or exalted. Middle school age is such a hard age, until we find something that works (interests) our children to read �� My son has been into mystery. Whatever works, as long as it’s not ‘smutt’ or something with mature or inappropriate ideas. Thanks so much for sharing with us! Hope to see you again soon. Thank you for this list! Do you have age recommendations for them by chance? What are the age ranges of your kids? 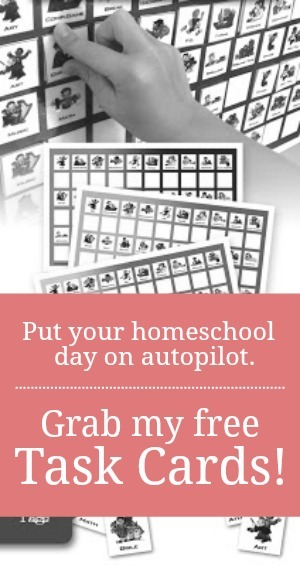 Do you plan on reading them out loud together or letting your kids read them solo? I was a little surprised you did not have John white on your list. Our oldest is 6 but loves to read. We are just beginning to read the Narnia series with her and then she re-reads it once we're done because she is enjoying it so much. We usually read books we're interested in with her :) or ones that need editing for content, but if it's a trustworthy book that isn't high on our list, we let her read it on her own. For instance, we read the first few Boxcar children and Imagination Station books with her, but now she's reading the rest of the series on her own. The Green Ember is now a Trilogy- the 2nd and 3rd are as good as the first! Yes, we've read and enjoyed them! Thanks for reminding me of these titles. We have listened to the Wingfeather Saga and all of the Green Ember series and loved them! Looking forward to listening to others on this list while we travel!